Near Monkton Combe School, Limpley Stoke. Dundas Aqueduct carries the Kennet & Avon Canal over the River Avon and the Wessex Main Line railway from Bath to Westbury, near Limpley Stoke in Wiltshire, England. 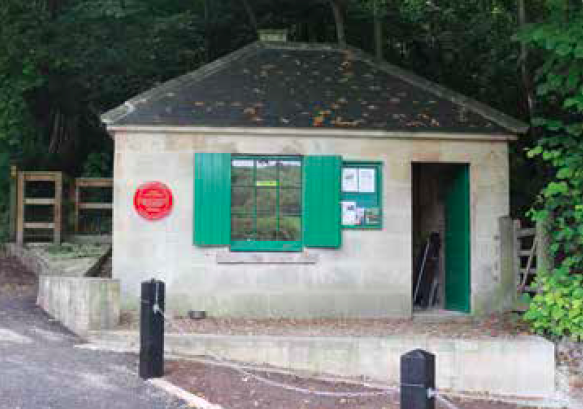 It was built by John Rennie and chief engineer John Thomas, between 1797 and 1801 and completed in 1805. James McIlquham was appointed contractor. 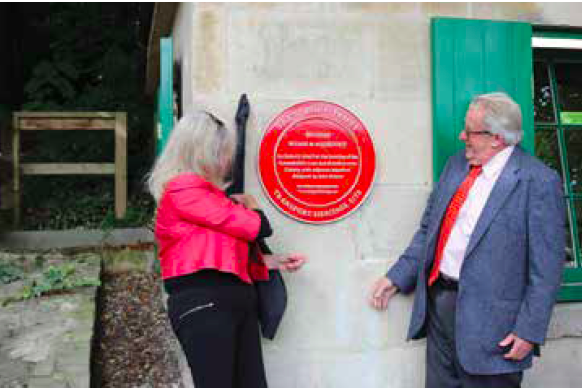 It is named after Charles Dundas, the first chairman of the Kennet and Avon Canal Company. The aqueduct is 137.2 m (150yds.) long with three arches built of Bath Stone, with Doric pilasters, and balustrades at each end. The central semicircular arch spans 19.5 m (64 ft.); the two oval side arches span 20 feet 6.1 m (20 ft.). 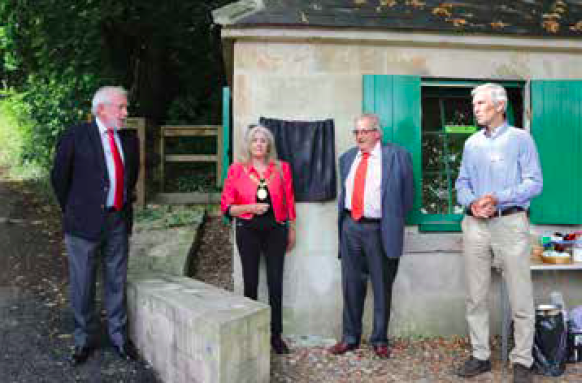 It is a Grade I Listed Building, and was the first canal structure to be designated as a Scheduled Ancient Monument in 1951. Over many years leaks had developed and it was closed in 1954. 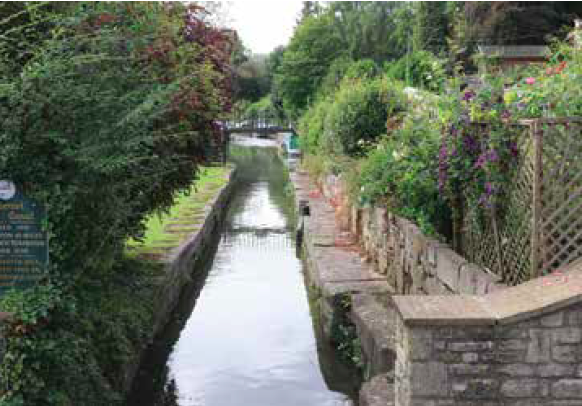 For a while in the 1960s and 1970s, the canal was dry and it was possible to walk along the bed on each side of the river as well as through the aqueduct itself. 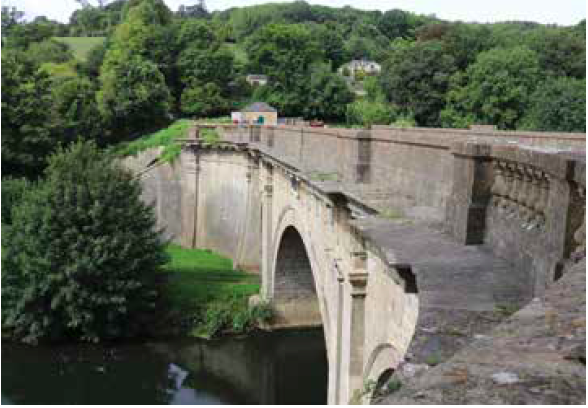 The aqueduct was relined, with polythene and concrete and restored, reopening in 1984. 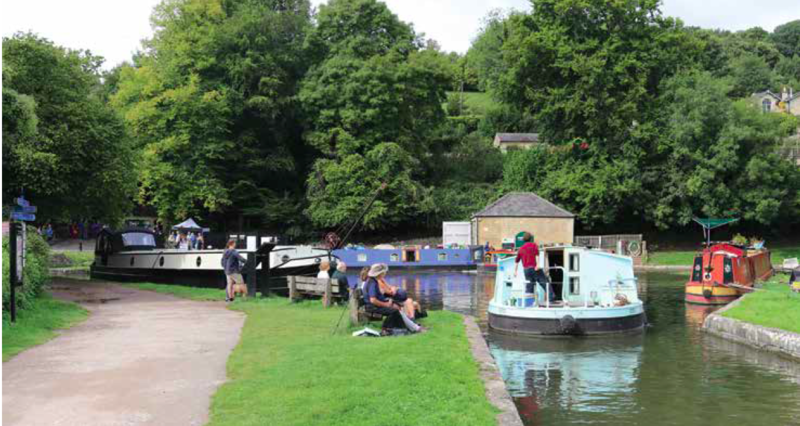 The aqueduct is also the junction between the Kennet and Avon Canal and the largely derelict Somerset Coal Canal. 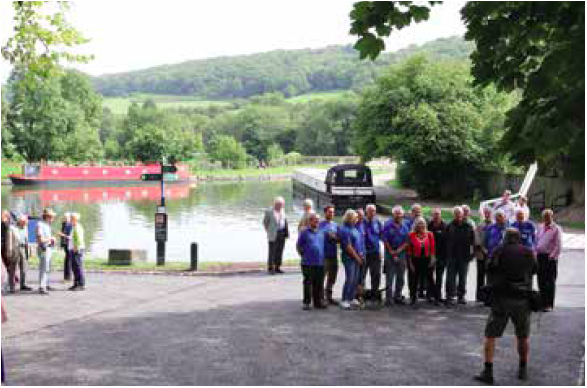 The short stretch of the Somerset Coal Canal still with water in it forms Brassknocker Basin, used for boat moorings, cycle hire and a cafe, and is next to Dundas Wharf where the small tollhouse, warehouse and crane still stand. The stretch of river below and above the aqueduct is used by Monkton Combe School Boat Club. At the opposite end of the aqueduct a wharf was constructed serving the Conkwell stone quarries. By road: the A36 near the village of Limpley Stoke. From the car park at the Visitor Centre follow the tow-path.